Ulster Unionist proposals for the whole of Northern Ireland to become an enterprise zone are uncosted and old, the First Minister claimed. Arlene Foster said some of the ideas were first mooted in 2010 and suggested the rival unionists were badly divided over Brexit. This week the UUP published a 10-point plan setting out its vision for Northern Ireland outside the European Union. It called for a trebling of spending on infrastructure. 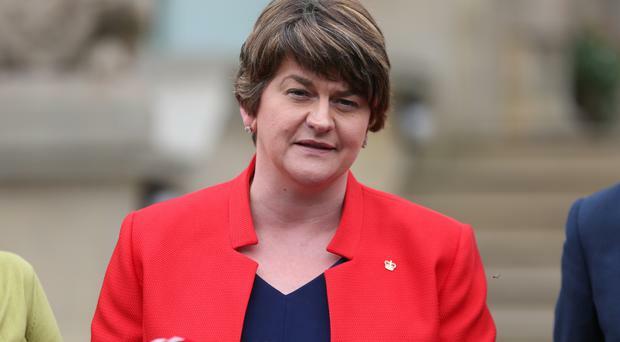 The First Minister said: "I have read the document which was published to much fanfare yesterday from, I am not sure whether it is the official Ulster Unionist document, whether it is the official Opposition document, whether it is the Continuity Ulster Unionist document. "However, I have the document. "It is an entirely uncosted document, no surprise there. It is also a document that brings forward propositions which are some six to 10 years old." She said a Northern Ireland-wide enterprise zone was first mooted by the Ulster Unionists in 2010. The Ulster Unionists called for a united approach from Stormont departments to Brexit. They sought more focus on education and a new peace centre, at the site of the former Crumlin Road courthouse in North Belfast. UUP Assembly member Steve Aiken said the document was ambitious and envisaged Northern Ireland becoming a gateway to Europe. The UUP, Sinn Fein and the SDLP campaigned to stay in Europe before the June 23 referendum, but the DUP sought an exit vote. Mr McGuinness said: "What we have to do is work in a very common sense, practical way to ensure that we defend the interests of the people that we represent north and south. "So Brexit obviously has very profound implications for the south and they have expressed that publicly. "I believe it has profound implications for us in the north but we all have to work together and I think a clear signal of our ability to work together is the joint letter that the First Minister and I sent to Theresa May identifying a number of areas of real concern to ourselves and I am sure those concerns are shared by the Irish government." He added: "We are working together to try and make the best of what is a very difficult situation for all of us."